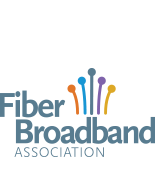 The Fiber Broadband Association advocates for policies to encourage the deployment of all-fiber networks in rural areas. People living in rural communities deserve the same broadband performance received by urban consumers so they have robust access to all economic, educational, and healthcare resources. As such, we support requiring that Universal Service Funds be used to deploy all-fiber networks to the premises. By pursuing such an approach, the government will avoid duplicate or wasteful government investment as the bandwidth necessary to ensure comparable levels of services increases. The FCC’s program to provide Connect America support to bring broadband service to unserved areas provides a great opportunity to give rural residents the same high performance broadband service that urban residents are getting. The Co-Mo Electric Cooperative and Co-Mo Connect Board of Directors voted this week to move forward with the final two phases of the four-phase plan to bring Co-Mo Connect and its state of the art gigabit connection speeds to the entire service territory. ADTRAN®, Inc., (NASDAQ: ADTN), a leading provider of next-generation networking solutions, today announced the addition of Northwestern Indiana Telephone Company (NITCO) to its Enabling Communities, Connecting Livesprogram.